Perhaps one of the most distinctive painters to emerge during the Edo period was Maruyama Ōkyo (1733–1795), the founder of the Maruyama School of painting. Drawing influence from bird-and-flower paintings of Yuan (1271–1368) and Ming-dynasty (1368–1644) China, as well as the work of Japanese artists from the Kano and Rinpa Schools of painting, Ōkyo’s manner of painting reflects a distinctive synthesis of stylistic elements evident in the work of his contemporaries. His mastery of European artistic techniques such as linear perspective (evident in numerous Western-style prints he executed throughout his career), also contribute a level of illusionism to his painting. 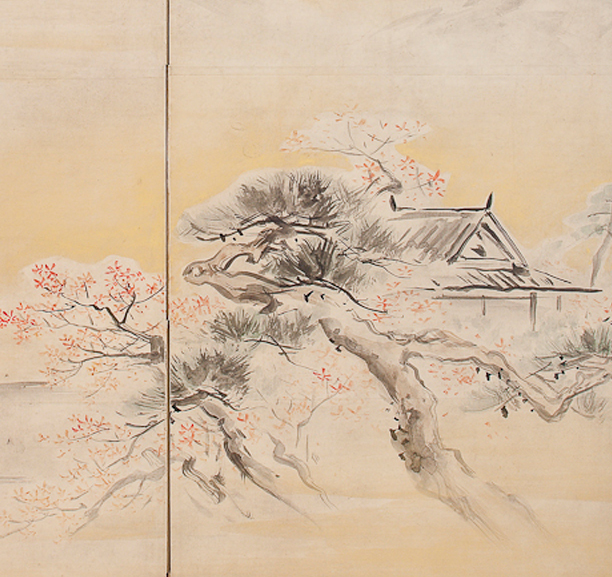 Central to his approach to painting was his adherence to the ideal of shasei, which means literally “copying from life.” Ōkyo’s interest in capturing the natural appearance of landscapes, birds, animals, and vegetation in his preparatory studies became a hallmark of the Maruyama style of painting. Nevertheless, he and his followers were not merely interested in photo-realistic images of the natural world. They typically imbued their works with as much subjective interpretation as of any other painter active during the Edo period (1615–1868). Although Ōkyo’s followers would never achieve the same stature or degree of influence, many would enjoy successful careers in their own right. 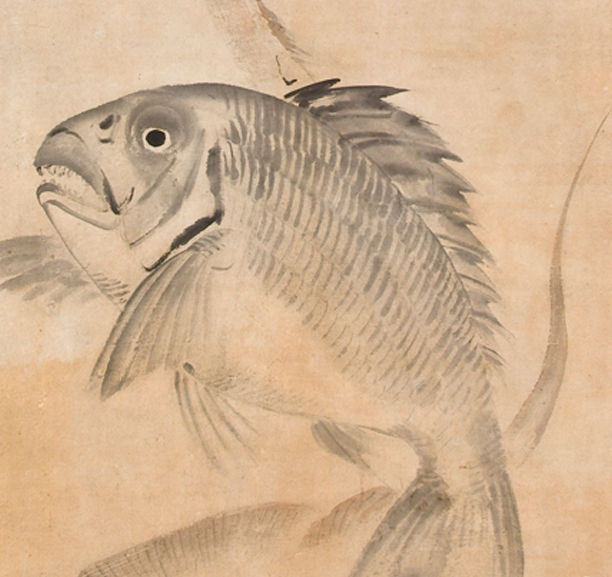 Figures like Nagasawa Rōsetsu (1754–1799), Mori Sōsen (1749–1821), and others would follow the example of Ōkyo, using models sketched from nature to produce works of art that were far more mimetic in style than other schools of Japanese painting. Of all those who followed Ōkyo, the painter Matsumura Goshun (1752–1811) remains the most prominent and celebrated. 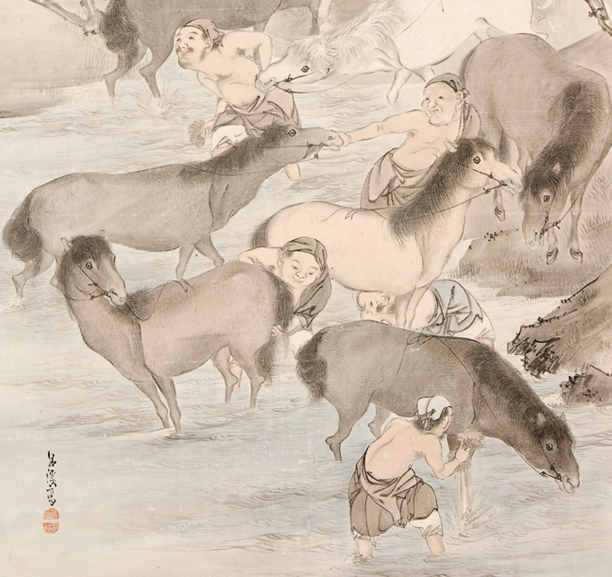 Originally, Goshun studied under Yosa Buson (1716-1783) and mastered that teacher’s literati painting style. 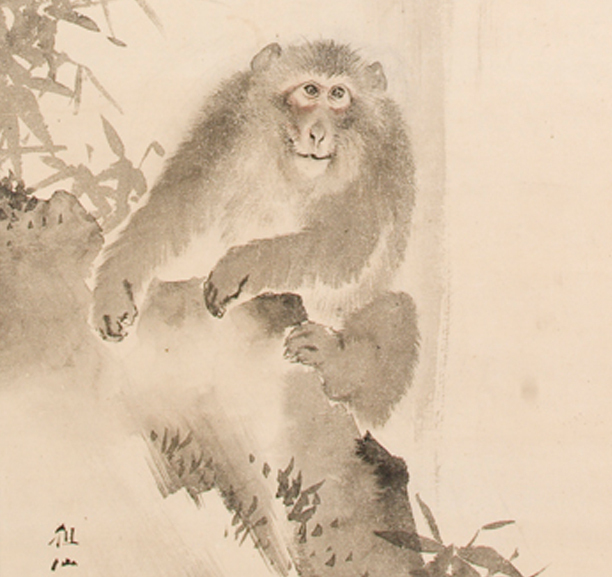 After Buson’s death, Goshun began working with Maruyama Ōkyo, who respected the artist as a gifted peer rather than a pupil. From this point onward, Goshun began to synthesize elements of the literati painting style with Ōkyo’s techniques, such as naturalism, different modes of perspective, and life-drawing. Goshun would go on to establish the Shijō School of painting, named after the location of his workshop (Fourth Avenue, pronounced “Shijō” in Japanese) in Kyoto. Pupils of this tradition include the artist’s younger brother, Matsumura Keibun (1779–1843), and Okamoto Toyohiko (1772–1829).